Notice the worried expressions on faces of the girls. 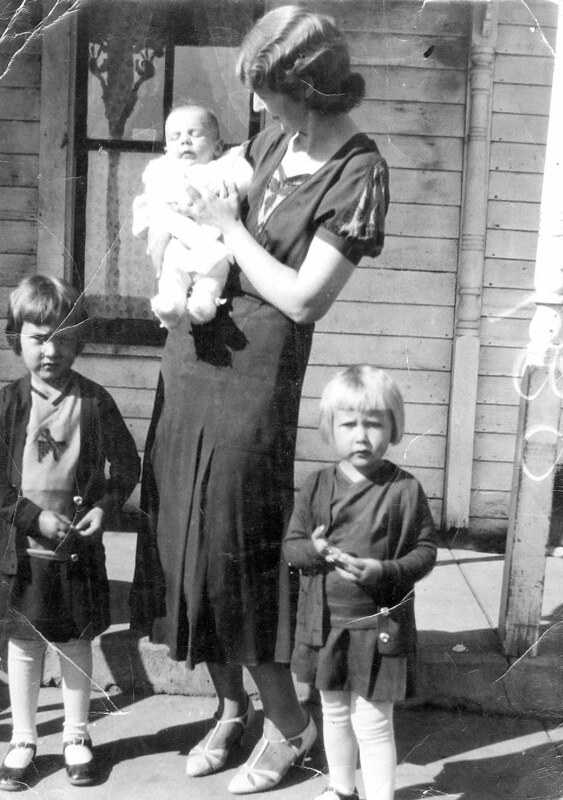 In this 1932 photo of my blonde mom, her sister, and baby brother, I was struck by how distressed the sisters are. The girls are wringing their hands with wrinkled brows! I think I found the reason for their concern on the back of the photo, in my grandmother's handwriting where it says: "Connie, Nola, Nicky, and Selma D."
The woman holding their baby brother is not their mother. They needn't have worried. Their mother did not give away their brother. He's fine and still part of the family.